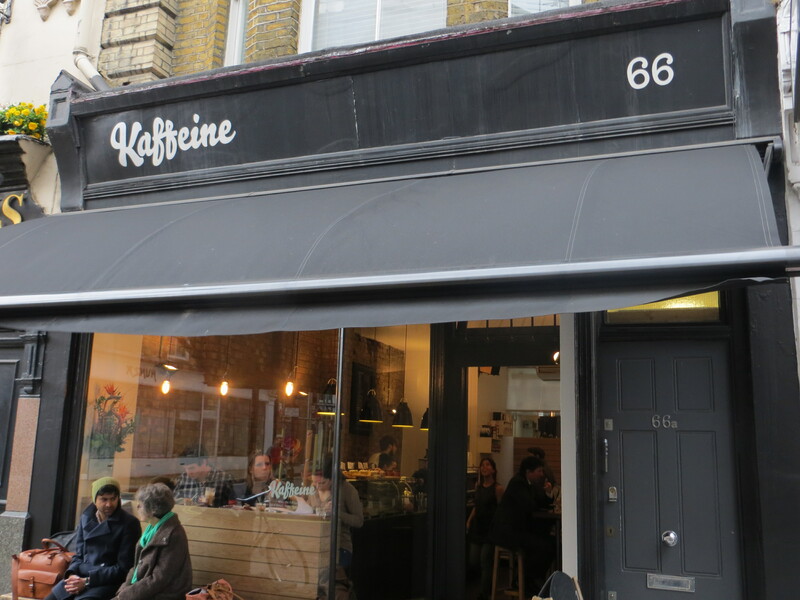 Kaffeine is one of the big players in the central London coffee scene. 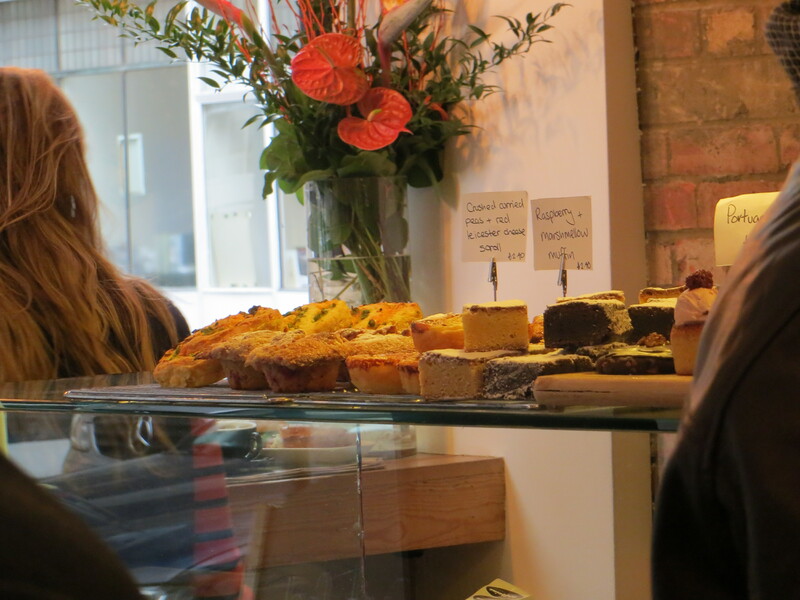 It’s hugely active on social media, always busy and has a great spot on Great Titchfield Street – an area itself which is fast becoming a must-do street for all things gastronomic. They were one of the first cafes to contact me directly when I started blogging – it has taken me a while to get round to them but I’m glad I finally did. You call your place Kaffeine and you’d better serve a pretty good cup. And they do. 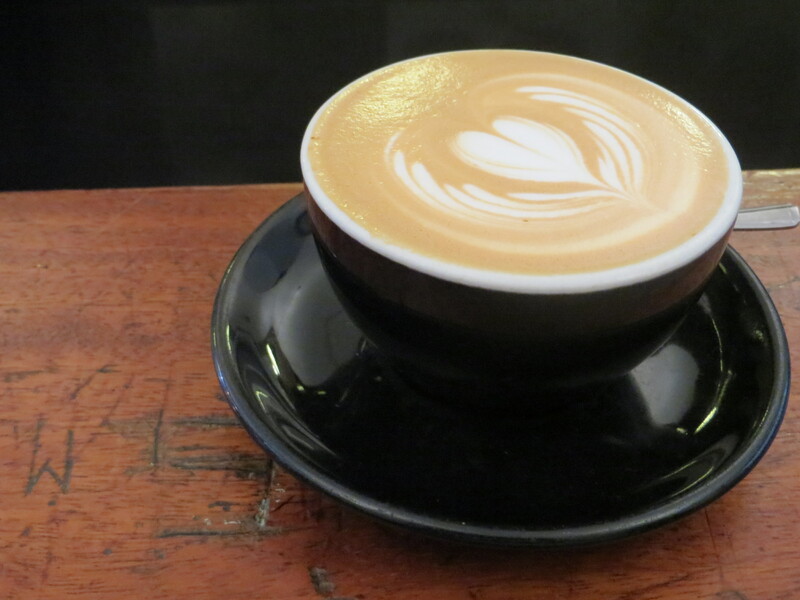 Using Square Mile coffee, the cappuccino was smooth and creamy with hints of honey flavours. It was a decent size and warm, not scalding hot. Overall, a great cup. 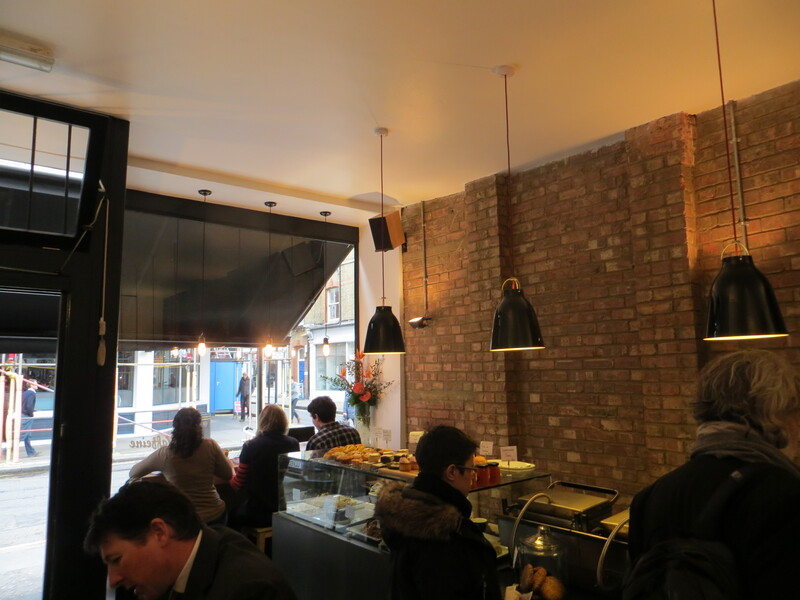 A bustling little café, with the usual design of bare wood and white walls. However, the seating was a little uncomfortable and it felt like a place with a high turnover of customers, not a place to stop and dwell on your brilliant cappuccino. A decent selection of the three S’s – sandwiches, salads and soups, along with breakfasts, baked goods and even its own homemade jam. I’m sure they’re all very tasty but the menu was a bit lacking in variety. However, they do change the selection seasonally, so kudos for that. Fast, efficient and friendly. They came and cleaned away the tables as soon as my neighbours left. It was very busy when I went but none of the staff looked flustered at all and even managed to provide me with a glass of free water. Nice touch. In store, there was not much going on – some coffee bits and bobs for sale, free water and a coffee tasting ‘flight’ (not sure what this way but was tempted – no planes involved). However, searching online shows that it runs a coffee course, which includes Latte Art and does catering. Lived up to its reputation as one of the leading cafes in central London. A few more comfy seats and I’d happily ensconce myself here for an afternoon.